School’s out! Now, what is the first thing you hear –“I’m bored.” Consider creating a summer bucket list with your children to help chase away the boredom. Keep in mind, the list should be ideas you are willing or able to do. 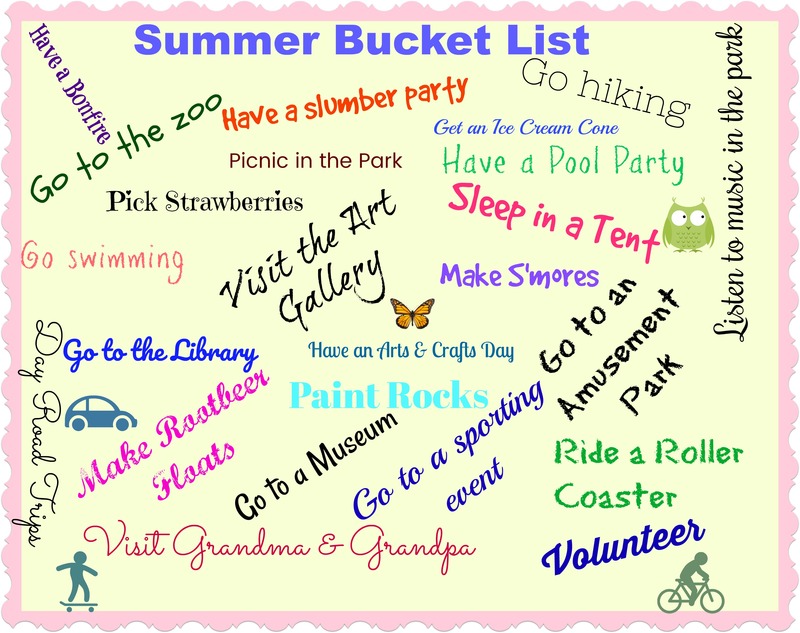 Make the summer bucket list a family project. Use a notebook or purchase a poster board to write out your ideas. Consider using a different colored marker for each child. Allow each family member to come up with different activities. Of course, younger children may need help with the writing part of the project. Summer bucket lists can be simple everyday items to planned vacation adventures. The choice is up to you. If you are uncertain on the type of activities, become a tourist in your town or surrounding towns. Use an Internet search. Local activities often get overlooked. Providing you a chance to join in on the fun on a weekly basis, community activities are free or minimal costs to participate.